Rekon Technologies, the leading provider of advanced lien release, assignment processing and document preparation software for mortgage servicers, has installed the latest edition of its Rekon software for one of the top mortgage lenders in the nation, enabling the lender/servicer to avoid any backlogs in its rapidly increasing mortgage assignment volume. The top lender, a Rekon software user for lien releases and mortgage assignments since 1997, completed more than 125,000 assignments in the first full month with the latest edition of the Rekon software system installed. The Rekon lien release and assignment software is seamlessly integrated with any servicing software system. With the escalating volume of foreclosures today, mortgage servicers need to quickly straighten out the chain of title and establish a clear and clean title for delinquent properties in the assignment of mortgages, which ensures successful foreclosure proceedings by publicly documenting the owner of record and safeguarding the right to foreclose. By installing Rekons software the top three lender will avoid costly backlogs of mortgage assignments that can delay loss mitigation efforts. Rekon software quickly and accurately creates assignments for lenders and servicers in the more than 3,600 recording districts in all 50 states. The software maintains an up-to-date status on the regulations and requirements for preparing lien release and assignment documents in all recording districts nationwide. Additionally, Rekon can electronically record assignments in more than 650 counties in the 36 states that offer eRecording for mortgage documents. With its eRecording capabilities, Rekon software can dramatically reduce manual assignments and assignment expenses. A recent lender analysis shows that up to 45 percent of servicers assignment volume, depending on their loan portfolios, could be transmitted electronically today. Senior executives at the top three lender praised the quality of Rekons software features and noted that the delivery, installation, testing and go-live process for the software system was fast, easy and uncomplicated, taking little more than a month. Rekon ensured an efficient and seamless transition for our internal team members responsible for the project, said a senior executive who requested anonymity. The Rekon software also is extremely helpful when working with our business partners in the foreclosure process. Aurora Marsh, CEO of Rekon Technologies, said, Rekons software is used by the largest servicers in the country and it consistently and accurately handles the growing volume of mortgage assignments facing the industry without a need to outsource, thus giving servicers and lenders of all sizes direct control over their assignment preparation costs. By installing the latest edition of the Rekon software, our top tier lender customer can avoid any backlog of assignments and safeguard its right to foreclosure and sell or transfer loans, including pools of loans, with clear and clean titles. Rekon Technologies provides advanced software solutions to loan servicers and lenders that prepare, record, manage and track loan documents, such as assignments, lien releases, UCC terminations and trailing documents, among others. Rekon software is used by the largest servicers in the industry and is designed to handle growing volumes of document preparation and recording in the more than 3,600 recording districts in all 50 states. The companys flagship product and namesake Rekon is a fully automated system for document preparation and management, integrated with imaging and eRecording capabilities, that processes loans from payoff to recording in a paperless environment from anywhere in the world. Rekon also offers DokTrak, the most versatile document tracking and data warehouse technology product available for managing documents in the gap between origination and servicing, resolving issues in post-closing and file certification for securitization. Rekon Technologies is based in Pasadena, California. For more information, please visit http://www.Rekon.com/. The news articles about the foreclosure crisis going on in our country are rampant but what most of them do not relay is that the situation in Florida is many ways worse than in any other state. According to the latest statistics released by the Mortgage Bankers Association, Florida accounts for 23.7% of all foreclosures nationwide; which correlates to 466,454 homes. Not only is this the largest number of any other state, it is larger than the total number of loans in 22 other states combined. According to statistics from the Office of State Courts Administrator, as of June 30th, Florida’s courts are backed up with a caseload of 260,815 cases plus an additional 117,000 fresh cases have been filed since then. Couple that with the termination of special court funding for foreclosure cases which took effect on July 1st and it appears the crisis in Florida is only getting worse. So how did this backlog swell to such an enormous figure? Why does it take so long for a bank to foreclose? This was not always the case, right? Before Wall Street started selling shares of stocks in pools of mortgages through a process known as securitization, foreclosures could be handled within a few months. Now, according Evan M. Rosen of Rosen & Rosen, due to the banks rush to profit and lack of proper simple documentation required in any real estate or mortgage transfer, as well as the lack of complicated documentation required as a result of the securitization process, no one knows how long some cases will take because in many instances no one can properly prove who is entitled to foreclose. Like every other plaintiff in any civil lawsuit, the plaintiff has the burden to prove all elements of their case by a preponderance or greater weight of the evidence. In a foreclosure action, the entity entitled to foreclose must successfully prove by this standard, among other things, that they are the proper party; the entity or person actually entitled to receive payments due under the terms of the note; and/or the party entitled to foreclose. This is generally referred to as legal standing and often, the banks cannot prove they have it. Below is a chart illustrating the time periods in the pre-foreclosure and foreclosure process in Florida as prepared by Rosen & Rosen, P.A. Day 90+ – Any time after 90 days the entity claiming their entitlement to foreclose can file suit. In many instances, this process alone can take more than 12 months, having competent counsel to point out various deficiencies typically has the effect of lengthening this process even more. Day 1 – Complaint and Lis Pendens are filed and served with a summons on the property owner. Day 20 A responsive pleading is due. If not filed, plaintiff moves for default judgment. With competent legal counsel, there can be a multitude of legitimate issues raised via motions, hearings, and discovery requests which would extend this time period greatly. Day 45 60(if unrepresented by competent counsel) – Court schedules hearing for default judgment and at the hearing enters final judgment of foreclosure. By statute, the court should order the sale of the property on a specified day within 20-35 days of the order. However, sales can still lawfully take place later than 35 days and are sometimes taking many months after the order is entered. Day 80 95(if unrepresented by competent counsel, under a more typical timeline) Notice of sale published once a week for two consecutive weeks in local publication, with last posting at least 5 days prior to sale; auction sale conducted; winning bidder applies 5% deposit from funds advanced electronically prior to sale and then pays the rest by noon the following day. Dade, Broward and Palm-Beach Counties conduct their auctions online. Certificate of sale is filed promptly after sale and right of redemption ends when certificate of sale is filed. Day 105(if unrepresented by competent counsel, under a more typical timeline) Ten days after filing certificate of sale, certificate of title is issued title vests, no further action necessary unless property is still occupied. Day 106 -119(if unrepresented by competent counsel, under a more typical timeline) 1 -14 days after certificate of title issues, if property still occupied, sheriff posts a notice to vacate/writ of possession. Day 119 140(if unrepresented by competent counsel, under a more typical timeline) 1 21 days after notice to vacate, sheriff vacates the property. The above is just an overview to help understand the current state of the foreclosure process. For more details or if you have any questions or comments, you are welcome to call or e-mail the author of this article for more information. California Attorney General Kamala Harris announced last week that California would pull out of settlement talks that would have released some of the countrys major banks from liability surrounding their lending and foreclosure practices, the Wall Street Journal recently reported. Southside Financial Group (http://www.southsidefg.com), an active purchaser of auto finance receivables, today announced the launch of a nationwide program to purchase existing near prime and subprime auto loan portfolios from franchised and independent auto dealers. Southside Financial Groups program includes near prime and subprime portfolios ranging from $ 500,000 to $ 40 million, service released; all portfolios are held on the balance sheet and serviced internally. The program is highly efficient with a 7-10 day total turnaround from analysis to closing, and will target accounts with 60-90 day pay history. Since the inception of this program Southside Financial Group has actively purchased and closed portfolios from dealers in Oklahoma, California, Alabama, Missouri, Kentucky, Mississippi and Texas with other purchases scheduled to close in Florida, Ohio, South Carolina, Mississippi, Georgia and North Carolina . Funding is made possible by Southsides parent bank, with the added advantage of no need to securitize plus a more stable cost of funds. Franchised and independent dealers have responded extremely positively to this new loan portfolio program as they can achieve greater liquidity in their business ventures by letting us purchase their existing portfolios of near prime and subprime loans, Southside Financial Group COO Henry Gonzales commented. Our executive team has purchased over $ 2 billion of prime, near prime and subprime loans in the past three years and their expertise and service is beyond compare. We can analyze and review a portfolio and offer attractive pricing and very quick funding, with a 7-10 day total turn around. Southside also builds relationships with each dealer to insure a smooth transition plus long term customer satisfaction. Southside Financial offers complete transparency and up-front pricing based on its superior analytics. A due diligence team will evaluate all loans to maximize return without interrupting the dealerships existing business, ensuring a seamless transition. Holtmeyer & Monson announced today two key executive appointments. The company has promoted Penny Newbauer to the position of executive vice president and has hired Josh Miller as vice president to play integral roles in driving and strategically supporting the companys ongoing expansion. Holtmeyer & Monson has experienced a 30 percent increase in Small Business Association (SBA) loan closings since this time last year and has recently added eight more banks to its client roster. After building an extensive career in corporate business and the financial services industry, Ms. Newbauer joined Holtmeyer & Monson in 2006 as vice president and national servicing manager. She has been responsible for providing guidance in the proper preparation of closing documents for SBA loans, as well as 1502 reporting, payment setup and processing and the development of servicing requests for SBA and Colson approvals since that time. In this expanded role as executive vice president, Ms. Newbauer will manage the companys overall loan servicing function as well as portfolio management and compliance. Mr. Miller has joined the company from Paragon National Bank in Memphis where he was a vice president. For more than a decade, he has served in various commercial finance capacities. As vice president at Holtmeyer & Monson, he will manage all aspects of the companys lender account relationships across the country. Endorsed by the Independent Community Bankers of America (ICBA), Holtmeyer & Monson offers the full spectrum of SBA lending services from training staff and loan application and closing services, to securitization and sale to the secondary market and portfolio servicing. The company enables banks to extend much needed capital to small business borrowers; at the same time, freeing the institutions from the complexities and inherent bureaucracy associated with SBA lending. Holtmeyer & Monsons unique fee structure enables banks to generate a great deal of income without incurring net costs because fees are capitalized right into a borrowers loan. Within three months of forging our partnership with Holtmeyer & Monson this year, we efficiently closed or received agency approval for five SBA loans, said Charles Ruyle, EVP/Operations Director at Citizens Bank of Rogersville in Missouri. The first three generated non-interest fee income equal to what we would normally achieve in two years from other sources. Holtmeyer & Monson has been very key to our success with some fairly complicated SBA lending requirements; we are now not only able to fulfill the needs of local businesses, but also capture an alternative source of revenue. Penny and Josh are skilled bankers, but even more importantly, they understand the nuances of SBA lending and what it takes to bring these loan opportunities to a successful close for clients, like Citizens Bank of Rogersville, said Arne Monson, president and co-founder, Holtmeyer & Monson. Their contributions will be instrumental in moving the company forward and helping us to continue providing highly specialized services that enable banks to enhance their profitability through government-guaranteed lending. Holtmeyer & Monson provides banks with comprehensive, out-of-house services and the high level of expertise required for SBA lending. The Company helps community banks offer small businesses access to capital while benefitting from a highly lucrative source of fee income. Holtmeyer & Monson covers every stage of the process from loan packaging and closing, to securitization and sale, through portfolio servicing. Based on its full-service capabilities and credibility, banks can be confident that their SBA lending credits will be handled expertly, efficiently and with the highest levels of safety and soundness. Visit http://www.holtandmon.com for more information and subscribe to our bi-monthly newsletter, SBA Lending Matters. 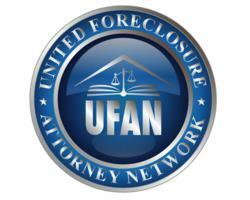 On Tuesday October 18, 2011, United Foreclosure Attorney Network (UFAN) filed suit in Superior Court in Martinez, CA (case number C-11-02390) on behalf of numerous homeowners against JP Morgan Chase and others alleged by Plaintiffs to be involved in a scheme to defraud and otherwise take advantage of investors and borrowers. The complaint details how the lending practices of JP Morgan Chase led directly to Plaintiffs being placed in harmful and predatory loans. After a loosening of lending restrictions in the 1980s, banks like JP Morgan Chase began originating exotic non-prime mortgages with adjustable interest rates. These risky loans were often securitized into mortgage backed securities and sold to investors. Because a bank could quickly recoup amounts spent issuing mortgages by the sale of these residential mortgage backed securities (RMBS), banks incentivized mortgage brokers to participate in the scheme with high fees for origination. According to the filing, these fee incentives encouraged complete disregard for underwriting standards which were used to lure borrowers into highly predatory loans they could not afford. The complaint alleges that Plaintiffs relied on statements made by JP Morgan Chase employees and mortgage brokers when they accepted bad loans. Plaintiffs were often told that they would be able to afford high loan amounts and were promised the ability to refinance at a later date. It is alleged that in some instances, loan officers blatantly lied to Plaintiffs about the quality of the loans they were receiving. The complaint alleges that Chase not only knew about these broker practices, but encouraged and incentivized them. A Chase internal memo states, If you do not get Stated/Stated, try resubmitting with slightly higher income. Inch it up $ 500 to see if you can get the findings you want. Do the same for assets. Similarly, the complaint alleges that appraisers were encouraged to inflate property values in order to give borrowers higher loan amounts. The higher the loan amount, the more money JP Morgan Chase was able to make on the sale of the loan. It is argued that the bank incentivized appraisers to falsify property valuations in order to secure a higher loan to sell to investors. The complaint alleges that Plaintiffs borrowed excessively in reliance on inflated appraisals and other statements. Plaintiffs also argue that because of the sale of their loans, they did not receive the benefit of the contract for which they bargained. Plaintiffs, believing they would be placed into a mortgage with a traditional Lender/Borrower relationship, later found that they did not have a lender with whom they could deal. Servicers are not at liberty to make changes to contracts when circumstances are unforeseeably changed. Furthermore, loan servers have an incentive to foreclose whereas a lender has the incentive to modify a loan if it would be more profitable in the long run. Had many homeowners had a lender with whom to deal, they could have restructured the mortgage for a more desirable result for both parties. The complaint details how many Plaintiffs diligently sought modification of their loans but were denied simply because the servicer had no authority to grant a modification.